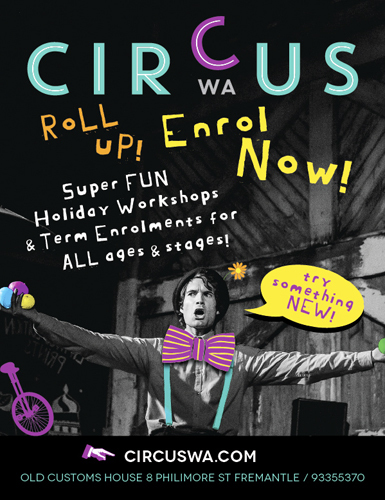 The Fremantle CIRCUS SCHOOL on Phillimore Street is great fund for the kids and a good way of staying fit, so why not wander over and let your children have a go at it. The future of the school still appears to be in limbo as no new home has been found for it yet and Artsource wants to create a gallery and cafe space where the Circus School is now. The City of Fremantle should do anything it can to keep the school in town as they do good community work.